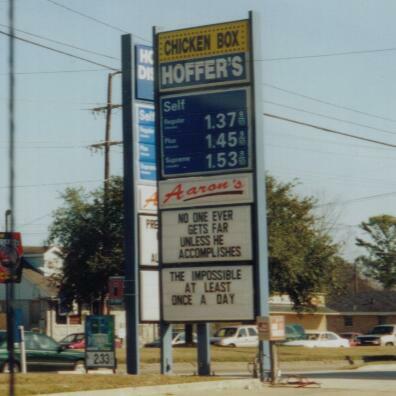 Hoffer's, a former Exxon at Paris Rd. and Judge Perez Dr.
in Chalmette, LA. Taken Feb. 2004 by Paul Huerkamp.